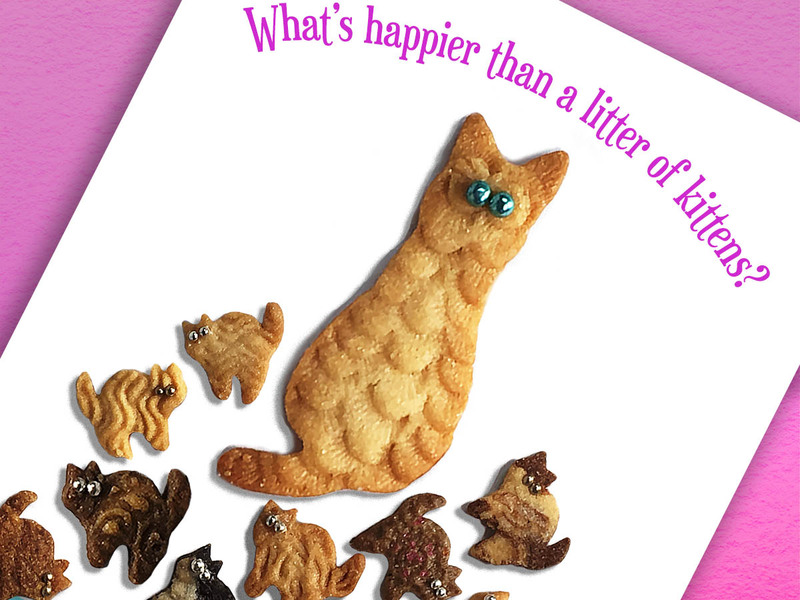 “What’s happier than a litter of kittens? Your birthday!” Don’t just say Happy Birthday, say it with kittens. 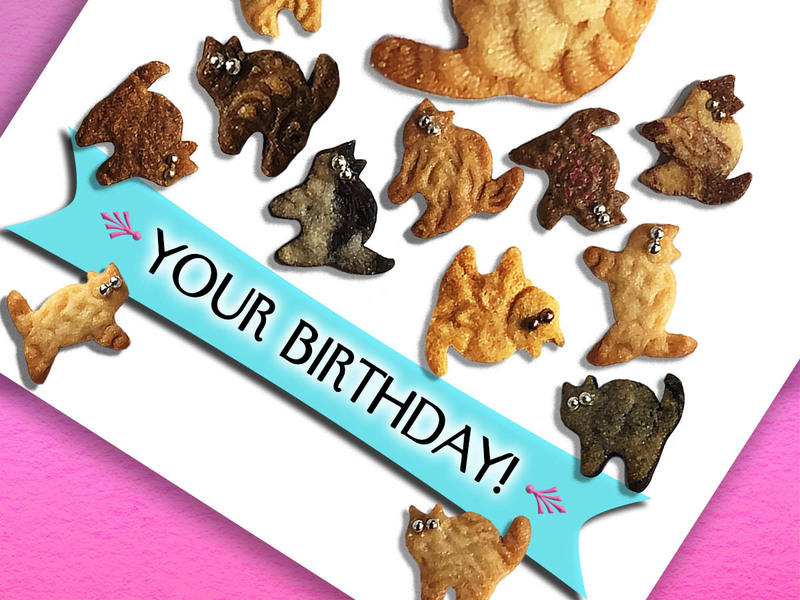 I hand cut, decorate and bake each cat and kitten from real cookie dough. Then I shoot them to tell this happy birthday story. 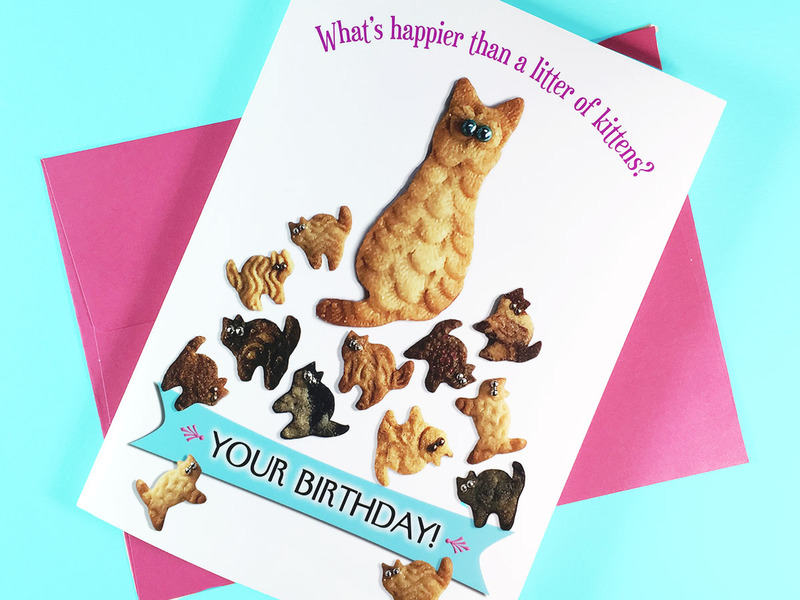 I print each card in-house, on glossy, photo-quality card stock. 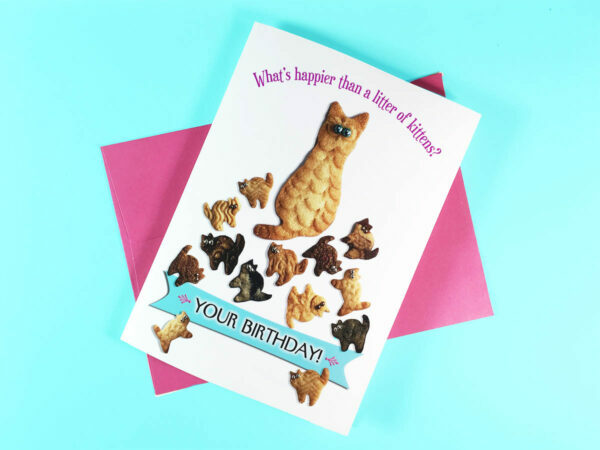 Part of our exclusive “Cookie Cat Card” line, only from Party Pet Cards. 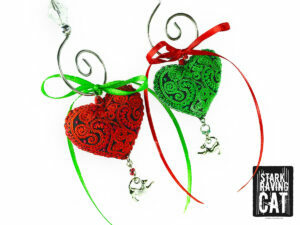 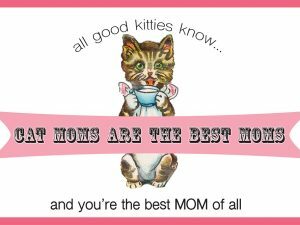 Purrfect for cat moms and dads, and for gift-giving at kitten season, and for adoptaversaries. 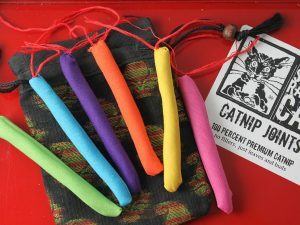 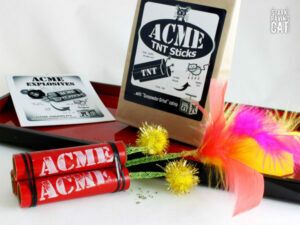 I’m also the owner of StarkRavingCat.com and StarkRavingCat on Etsy — a bestselling shop of handmade cat toys. 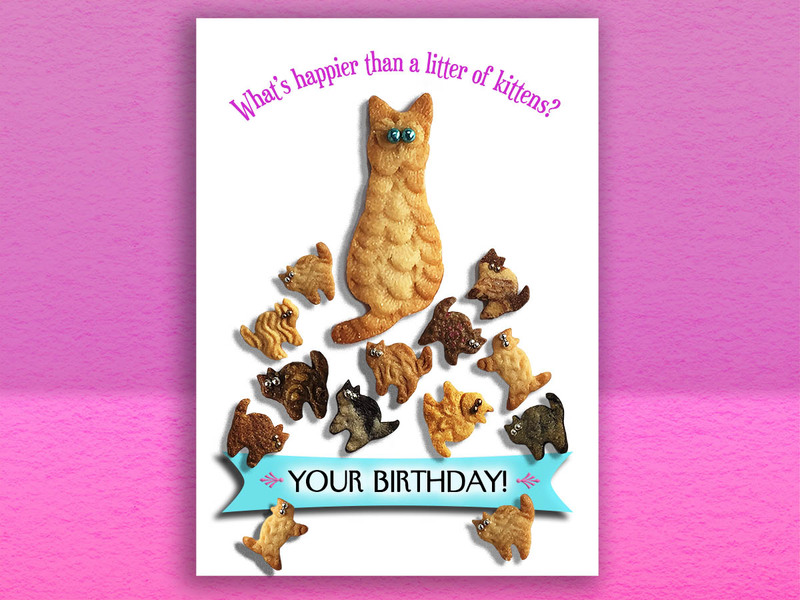 I design the cards at Party Pet Cards, print them in-house on high quality photo stock. Every detail is handcrafted with love — from design to packaging, and every step in-between.